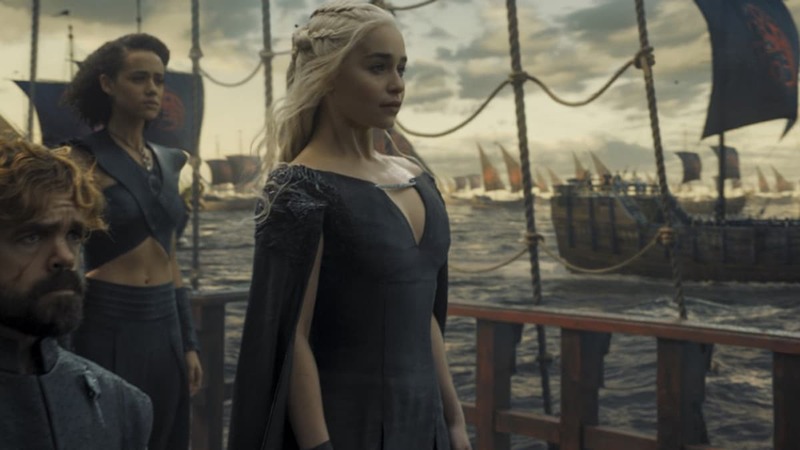 Game of Thrones actress Emilia Clarke (Daenerys Targaryen) just revealed in a new essay written for The New Yorker that she suffered two brain aneurysms in the first few seasons of the popular HBO series. When did Emilia Clarke have her brain aneurysms? Clarke had just finished shooting the first season of Game of Thrones and said that her dreams had come true. Then, she felt like she was going to die. She was working out with her trainer when the pain in her brain started. She crawled to a toilet and vomited. Someone helped her and then everything got blurry and the next moments are just flashes of memories — voices, sirens, someone calling her parents, the hospital. It was a brain aneurysm — a sort of stroke. A third of the patients die following one. She needed brain surgery. The first surgery was minimally invasive. When she woke up, she couldn’t remember her name. She couldn’t talk. She had a second smaller aneurysm on the other side of the brain and doctors told her it could “pop” at any time. When she returned to filming Game of Thrones, she was not fully recovered and was weak and tired all the time. In 2013, after season 3, the growth in her brain had doubled and the doctors said that they needed to fix it. This time the surgery did not go as expected and she woke up screaming in pain. She had a massive bleed and the doctors had to go in through the skull as the noninvasive technique was now off the table. “I spent a month in the hospital again and, at certain points, I lost all hope. I couldn’t look anyone in the eye,” Clarke wrote. However, she recovered and now feels it is time that people knew about her story. She also has started work with a charity called SameYou, which provides treatment for people recovering from brain injuries and stroke. According to the Mayo Clinic, a brain aneurysm is a ” bulge or ballooning in a blood vessel in the brain.” It can leak or rupture which causes bleeding in the brain, which causes a stroke. When this happens, it is life-threatening and requires immediate attention. However, most don’t rupture and are detectable due to other conditions. For these, there is a treatment to ensure that it doesn’t rupture. However, when a brain aneurysm ruptures, the bleeding lasts a few seconds, damages the surrounding cells, killing many of them. This will then disrupt the oxygen and blood supply to the brain, and that can cause death.